“Need to tie a knot? Knot Guide will teach you the ropes! 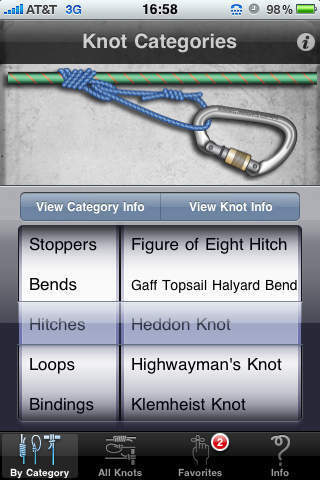 * ‘Knot Lingo’ screen covers basic terms for knot tying.